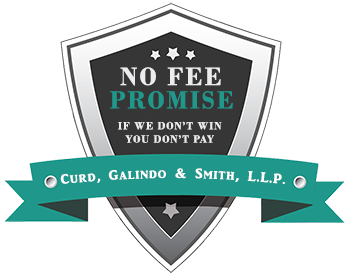 The fact is that you absolutely can afford to retain the services of the personal injury attorneys at Curd, Galindo & Smith because we work on a contingency-fee basis. If we do win your case, our fees are deducted as a percentage of the amount that we recover for you, according to a predetermined payment agreement. We understand how important it is for you to be able to take advantage of top-notch, skilled personal injury attorneys at this traumatic time in your life, which is why we are willing to accept the ALL the risks associated with contingency-fee representation. Contingency fees level the playing field in accident claims and make it possible for people from all walks of life to pursue justice. The insurance company has vast financial resources, teams of well-paid, clever lawyers to mount a defense against your claim, but with contingent-fee representation, you can put heavyweight lawyers in your corner to fight for the monetary compensation you rightly deserve. 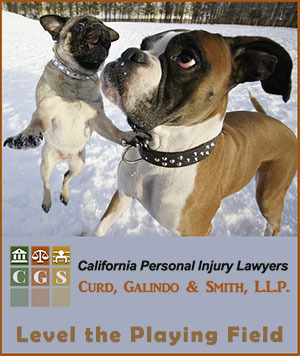 Hiring a personal injury lawyer on a contingency-fee basis not only makes it far easier for accident victims to afford the costs of top notch legal representation, but also ensures that you receive the benefits of working with an attorney who is motivated to getting results in your case. Because we are not paid unless you win, we are fully dedicated and focused on winning your case and recovering the maximum amount of monetary compensation possible. When we take on a client’s accident claim, we pay for the costs of investigation, consulting with and hiring expert witnesses, and the all the hours that go into preparing your case for trial. In negotiations and litigation in the courtroom, we are not only fighting to win compensation for you –our client– we are also working diligently to recover payment to offset our own investment in your case. We are Motivated! To find out how much your case may be worth and get started on your accident claim, contact our office now at (800) 300-2300 for a free case evaluation.